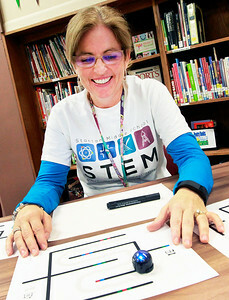 Candace H. Johnson-For Shaw Media Stanton's Kathleen Winkiel plays with a small robot called an Ozobot at Stanton Middle School in Fox Lake. 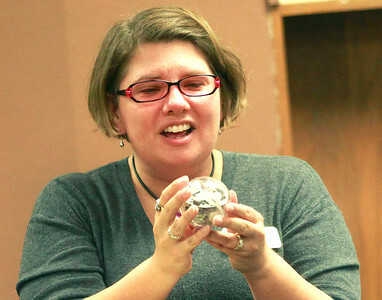 Candace H. Johnson-For Shaw Media Kristin Brynteson, director of professional development with Northern Illinois University, talks to teachers about a robotic ball called, a Sphero, at Stanton Middle School in Fox Lake. Teachers from Gavin, Stanton and Big Hollow attend workshops put on by Northern Illinois University to enhance the STEM programs in their schools. 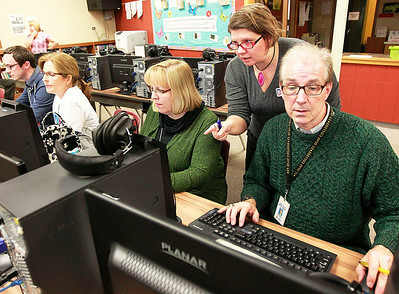 Candace H. Johnson-For Shaw Media Kristin Brynteson, director of professional development with Northern Illinois University, talks to Gavin teachers, Karen Spletzer and Tom Gallagher, about curriculum development as they work on their computers during the STEM program for teachers at Stanton Middle School in Fox Lake. 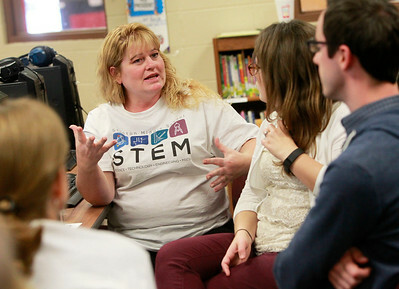 Candace H. Johnson-For Shaw Media Stanton's Colleen Hitzler, a fifth grade teacher, talks with her group about curriculum planning for their STEM program at Stanton Middle School in Fox Lake. Candace H. Johnson-For Shaw Media Kristin Brynteson, director of professional development with Northern Illinois University, (second from the right) talks to Gavin's Naomi Willman and Stanton's David Roat and Kathleen Winkiel about a small robot called, an Ozobot, as it moves along the lines on a piece of paper, at Stanton Middle School in Fox Lake. 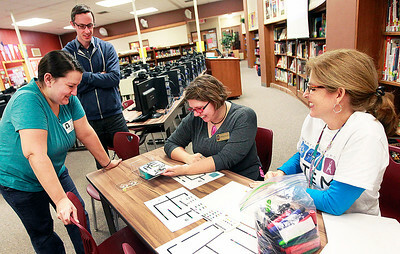 Stanton's Kathleen Winkiel plays with a small robot called an Ozobot at Stanton Middle School in Fox Lake.